“If I can do it, anyone can do it,” said Awa Traore, 2016 graduate of Briya’s National External Diploma Program, on earning her high school diploma. Traore grew up in the Ivory Coast and Mali. She came to the U.S. with her husband in 2009 knowing only a little English, and first enrolled in Briya’s Two-Generation Program in 2011 along with her infant son. “My speaking, writing and reading have improved a lot,” she said. “I like Briya teachers because they are patient and they understand everybody.” Traore also learned parenting techniques at Briya that she has seen benefit her son, now four, and her daughter, who is almost two. Before coming to the U.S., Traore had begun studying accounting in high school but wasn’t able to finish. She realized that earning a high school diploma was a vital first step toward achieving her goals of further education and getting a better job. 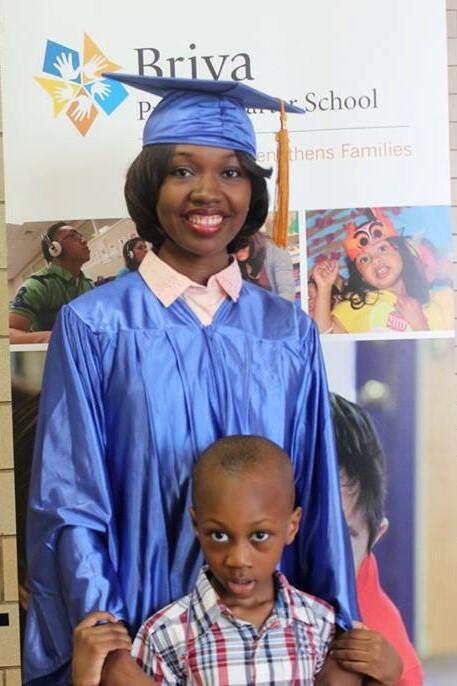 Now that she has her diploma, Traore hopes to enter a program to get her Child Development Associate certification.